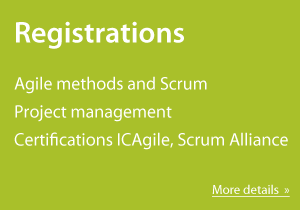 Mikro Kleiner is coming to Prague to deliver certification workshop 'Lean-Agile Procurement'. The workshop is plane on April 1-2, 2019. It's a great possibility to learn about the new way of procurement and how to deal with it in the Agile world. Read more details about this Lean-Agile Procurement training. Register here.